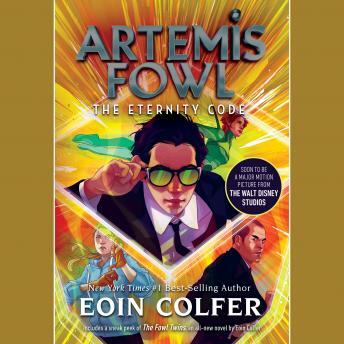 After being held prisoner for years, Artemis Fowl's father has finally come home. He is a new man--an honest man, much to Artemis's horror. He makes his son promise to give up his life of crime, and Artemis has to go along with it. But not until he has completed one last scheme. Artemis has constructed a super-computer from stolen fairy technology. Called the "C Cube," it will render all existing human technology obsolete. He arranges a meeting with a powerful Chicago businessman, Jon Spiro, to broker a deal for the C Cube. But Spiro springs a trap--he steals the C Cube and mortally injures Butler. Artemis knows his only hope of saving his loyal bodyguard is to employ fairy magic; so once again he must contact his old rival, Captain Holly Short of the LEPrecon fairy police. It is going to take a miracle to save Butler, and Artemis's luck may just run out. . .